Yup, another Star Wars post. I should probably defend myself but I'm not gonna. 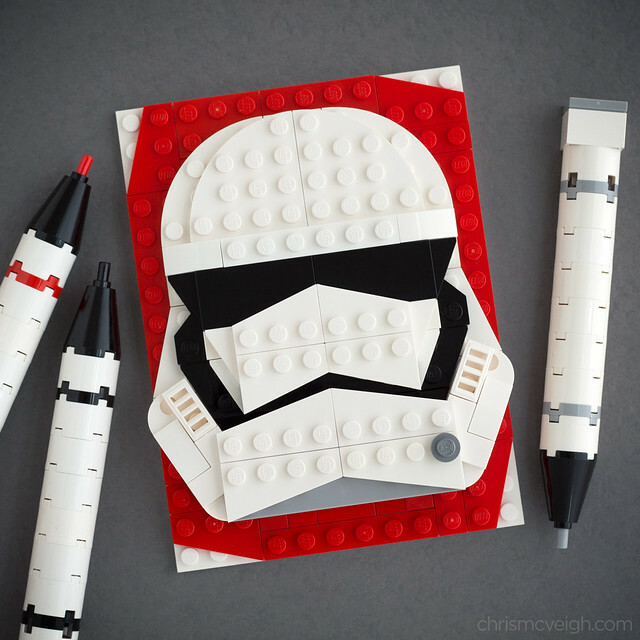 The new Stormtroopers from The Force Awakens are super badass, and this Brick Sketch from Powerpig is also badass. So, one of my new favorite character designs from my favorite movie franchise built from my favorite toy and art medium by one of my favorite builders, how was I not going to blog it? This Plush Nerdly Can Be Yours!